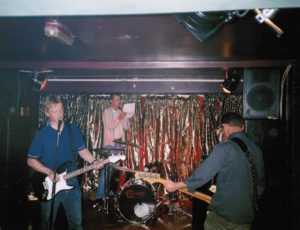 Rooney live at The Magnet, Liverpool, 1999. Lo-fi songs of ordinary life by the band ‘Rooney’. All three albums were recorded on a minidisc 4-track recorder. The band initially consisted of Paul Rooney alone but other collaborators, notably Colin Cromer and Ian S Jackson, later became involved. The songs are about wandering down the local shops, or looking at family holiday snaps, about overlooked moments and commonplace objects. 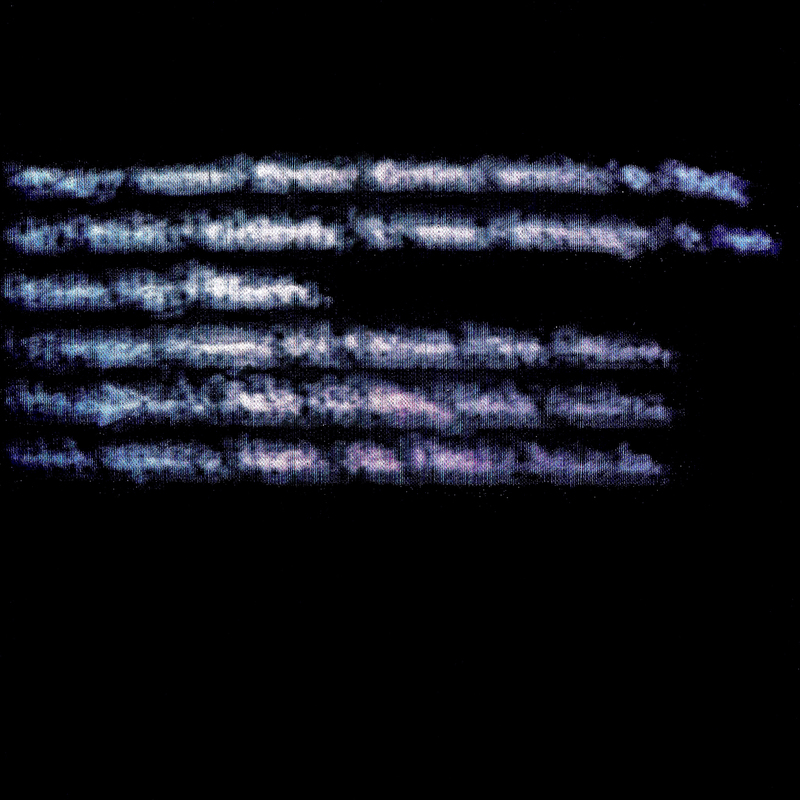 Rooney garnered much support from Stewart Lee and John Peel amongst others (resulting in a 1999 Peel session and a 1998 John Peel’s Festive Fifty appearance for the song Went to Town). Jewel case CD/download, 45 mins, 2000. Jewel case CD/download, 38 mins, 1999. Jewel case CD/download, 57 mins, 1998. “After the phenomenal Futile Exorcise album released earlier this year and his incredible Lucy Over Lancashire track from a few years ago, I’ve gone on a search around the net and struggled to find these albums that came out under the name Rooney. 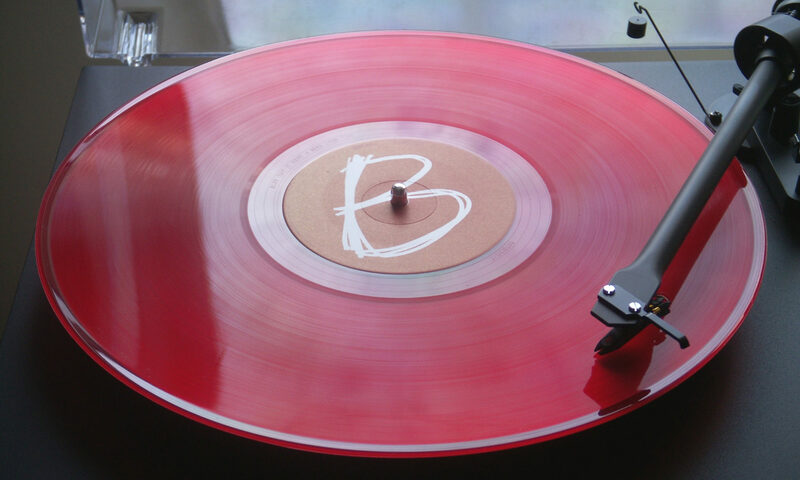 And then I discovered that they had been uploaded to Bandcamp. God bless you… All 3 of these albums are, I believe, well worth your money. Though a bit different, they are essential to where Paul is at right now.” Gavin Hellyer (Bandcamp website). July 2017. 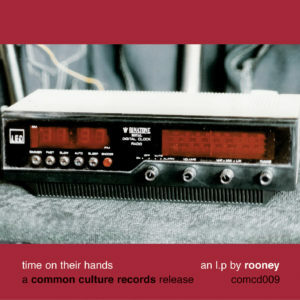 “With his 1998 debut, Time on Their Hands, Rooney established his enduring interest in words that register mundane detail…that harbour stories and sometimes spill out unexpected revelations.” Julian Cowley (The Wire magazine). Jan. 2010. 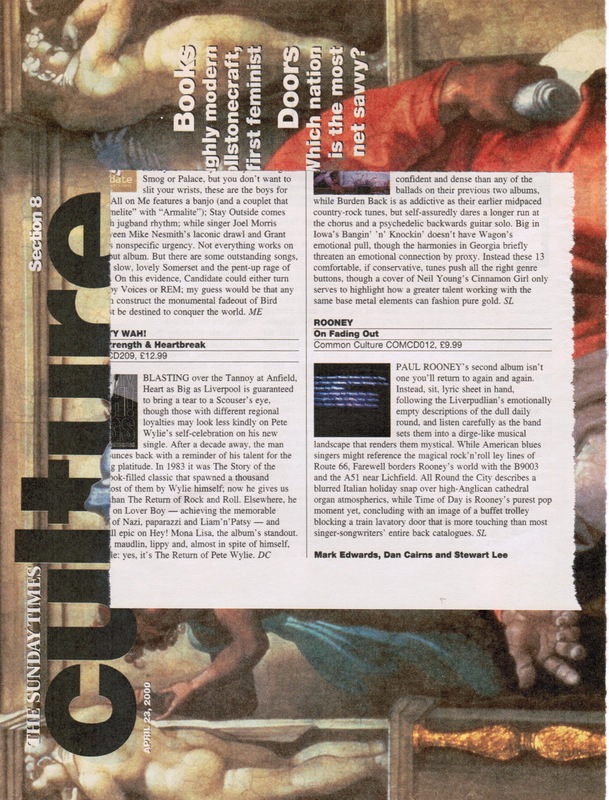 “When Call Waiting fuses medieval choral music with words about doodling on post-it notes and working in telesales it’s ironic but it’s also perplexingly memorable and moving to listen to.” Wayne Burrows (The Big Issue magazine). 1/1/2001. 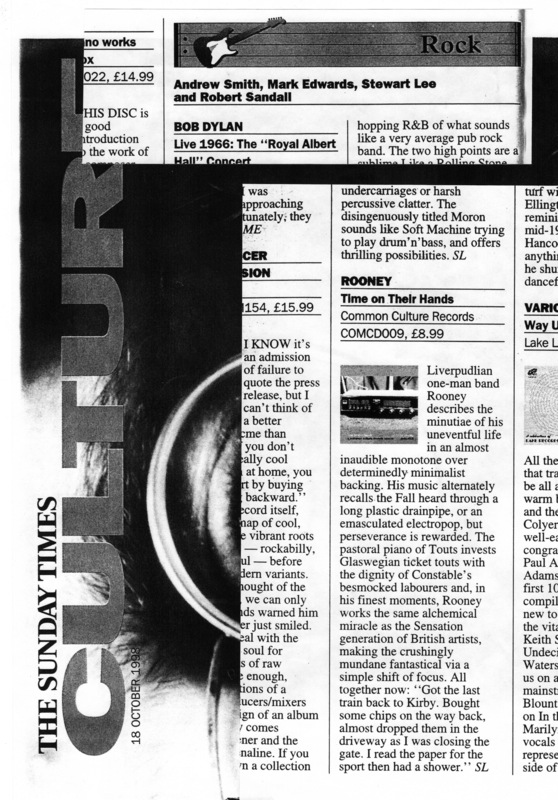 “Time of Day is Rooney’s purest pop moment yet, concluding with an image of a buffet trolley blocking a train lavatory door that is more touching than most singer-songwriters entire back catalogues.” Stewart Lee (The Sunday Times). 23/4/2000. “Rooney capitalise upon an inherent folk sensibility…strongly rooted in a Northern oral tradition.” Mark Beasley (Untitled magazine). Autumn 1999. 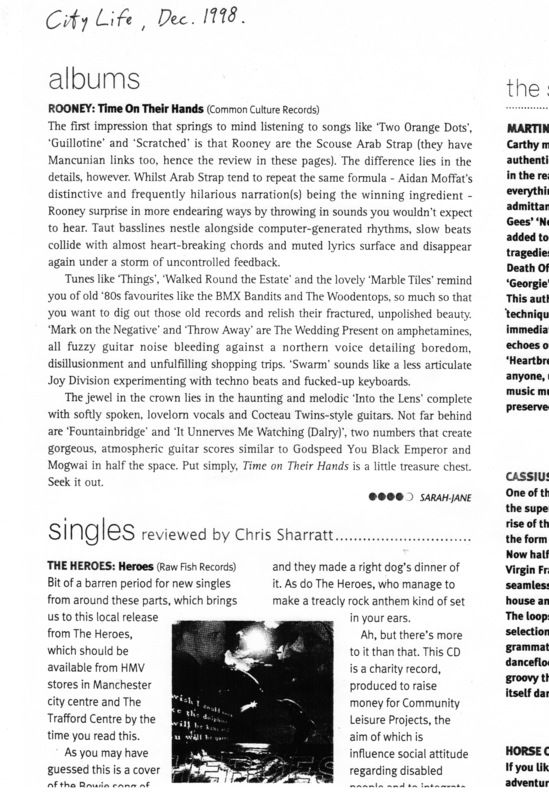 “Without sounding at all retro this album revisits the original spirit of punk”. Rob Sandall, Mixing It (BBC Radio 3). Mar. 1999. 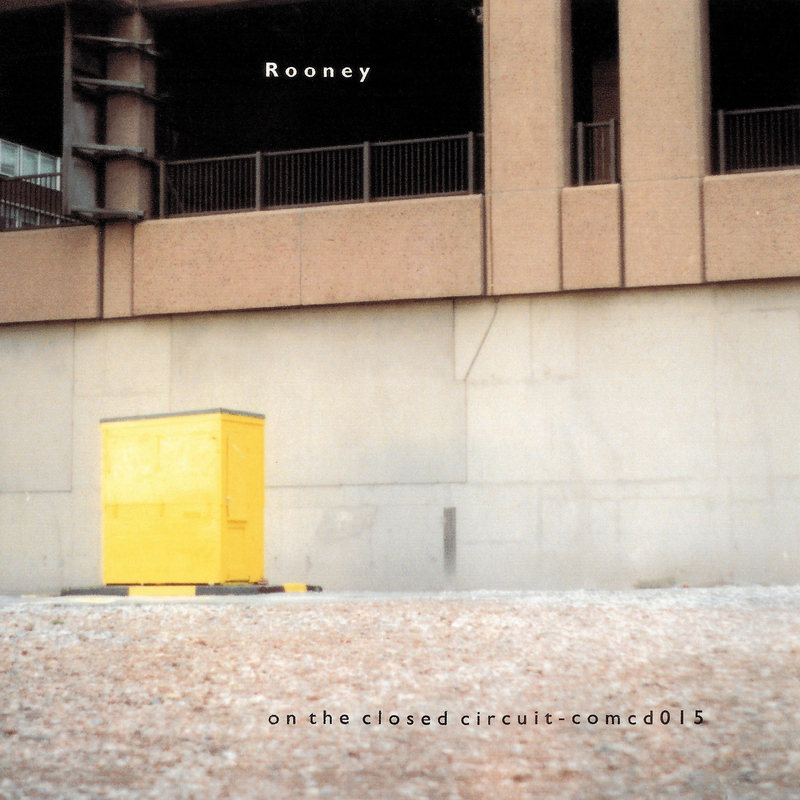 “Rooney is already a cult figure for his recent CD Time On Their Hands, which sets stream of conciousness banalities against some delightful low-tech techno…” Robert Clark (The Guardian). Mar. 1999. 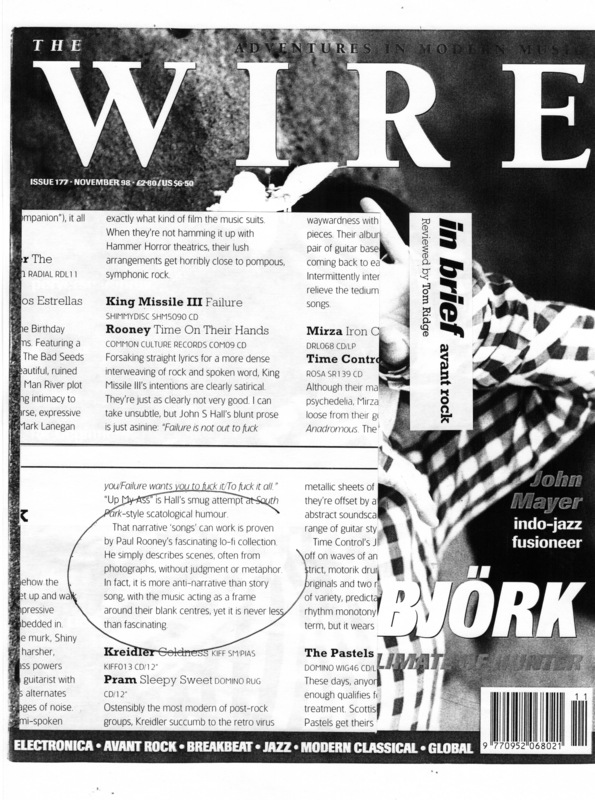 “…the accomplished lo-fi production is no less than exceptional, an unsanitized mix of guitar, primitive keyboards and drum innovation that trancends the pull of normality — transporting the listener from Kirkby estates and daytime bars into a parallel universe of possibility…” Jonathan Bunn (Sleazenation magazine). 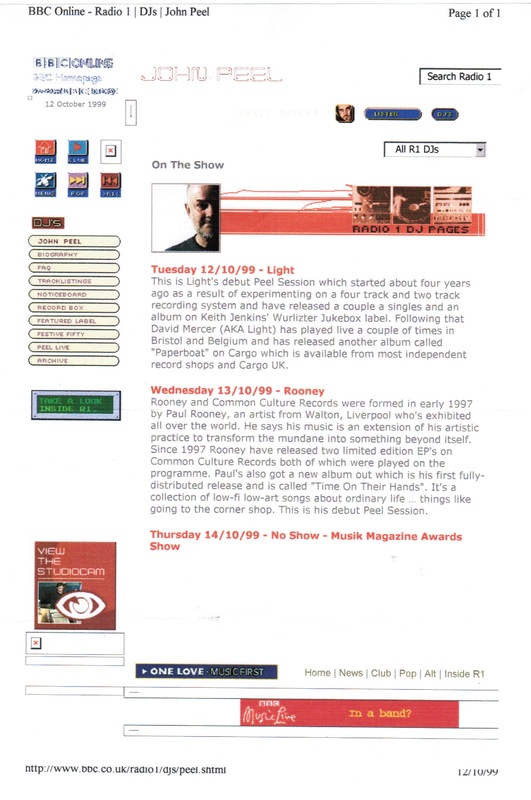 Jan. 1999. “…gorgeous, atmospheric guitar scores similar to Godspeed You! Black Emporer and Mogwai in half the space. Put simply Time On Their Hands is a little treasure chest. Seek it out.” Sarah-Jane (City Life magazine, Manchester UK). Dec. 1998. 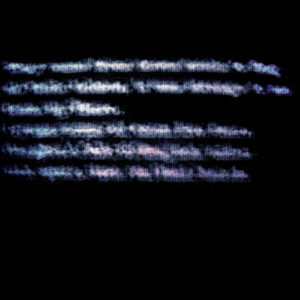 “That narrative ‘songs’ can work is proven by Paul Rooney’s fascinating lo-fi collection…it is never less than fascinating”. Tom Ridge (The Wire magazine). Nov. 1998. “Walked Round The Estate is especially good…what emerges is a kind of sweet nostalgia and praise for the everyday”. Gary Valentine (Mojo magazine). Nov. 1998. “Now that’s something special. 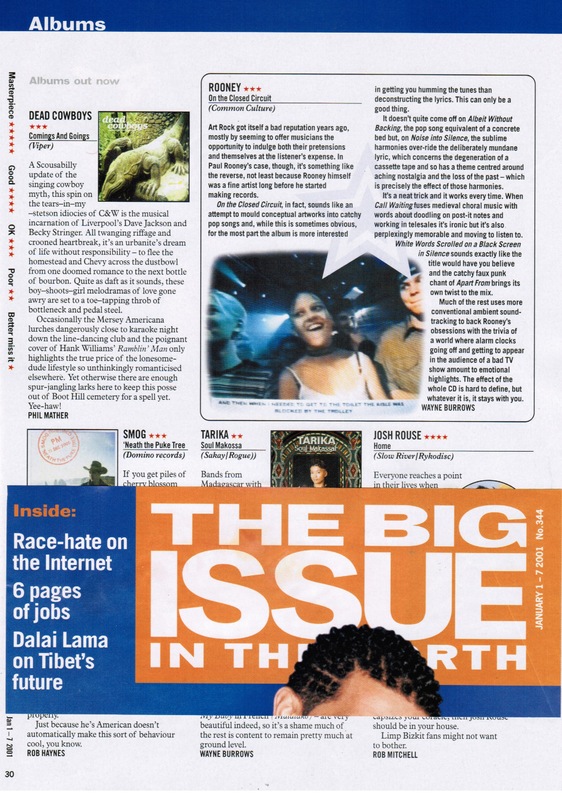 It sounds like nothing you’ve ever heard before…Time On Their Hands is one of the most refreshing album’s of the year…” Steve Oxley (The Big Issue magazine). Nov. 1998. “Rooney works the same alchemical miracle as the ‘Sensation’ generation of British artists, making the crushingly mundane fantastic via a simple shift of focus”. 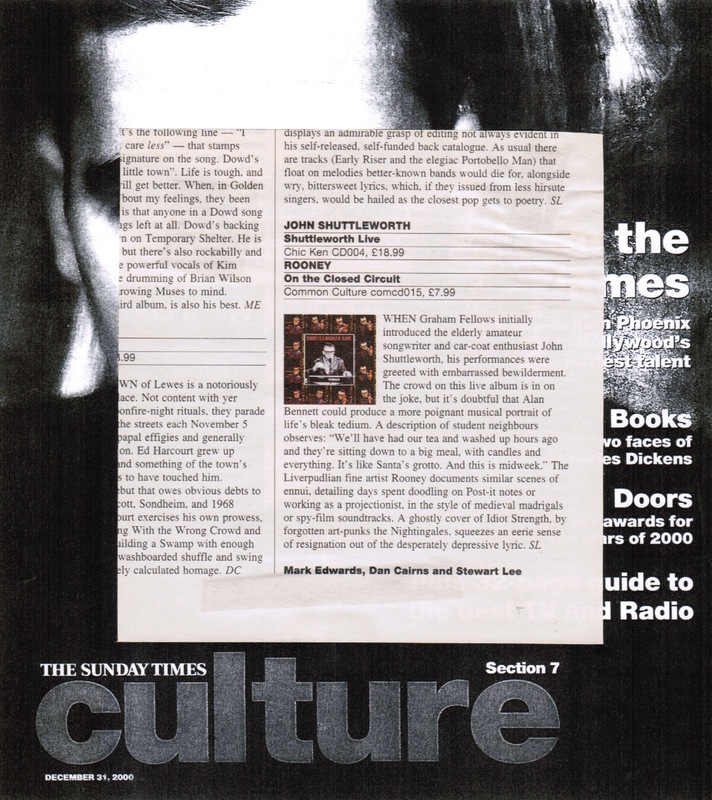 Stewart Lee (The Sunday Times). 18/10/1998. “That’s [Went to Town by] Rooney on Common Culture Records, from an EP called Got Up Late, which is really excellent I think…” John Peel (Radio 1 FM). 28/1/1998.